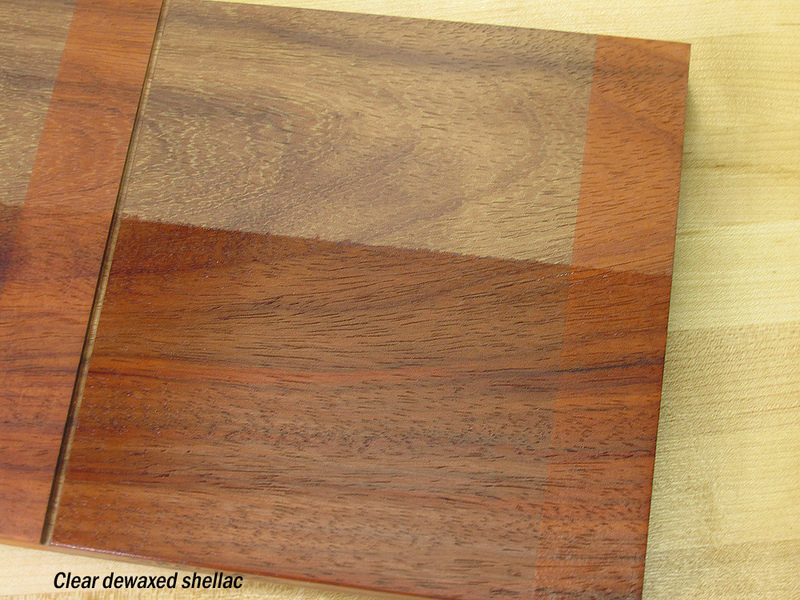 The vivid orange color of African padauk wood is, yes, 100% natural. And therefore it has a mind of its own. 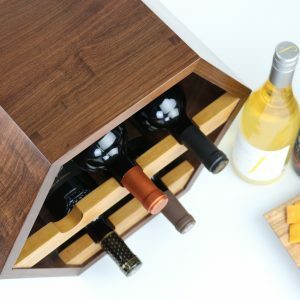 As a project made with African padauk ages, the orange color of the wood usually turns dark – sort of a maroonish brown – and depending on your taste you’ll either find that objectionable or not. 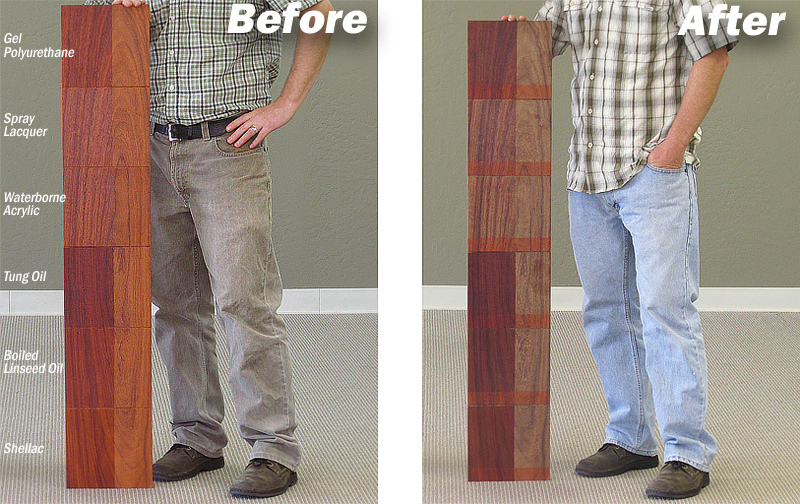 Because this change is largely spurred by ultraviolet light, different wood finishes will preserve padauk’s color to different degrees. 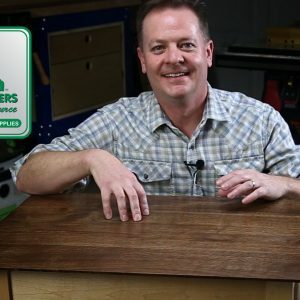 Here’s how we conducted the finishing test. 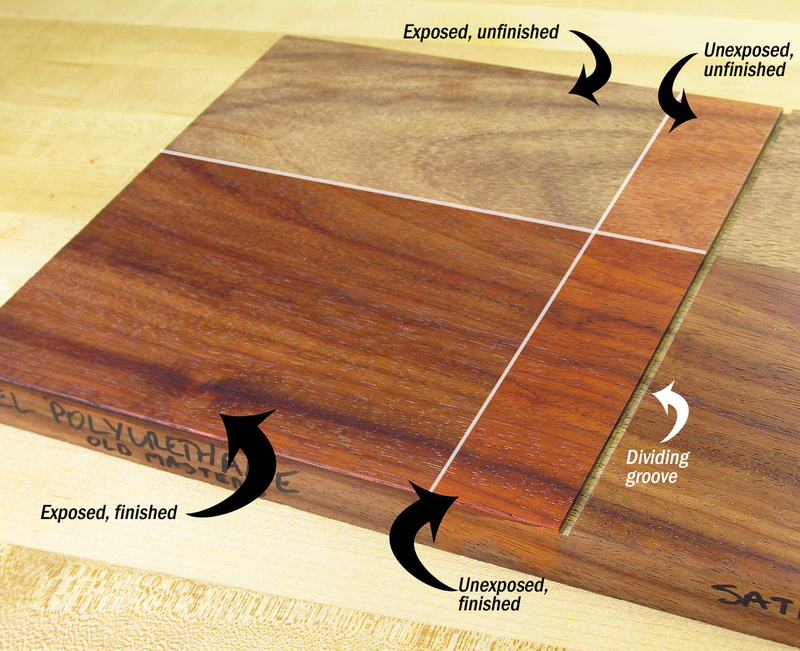 The board is divided into sections with a shallow groove, then half of each section is finished. 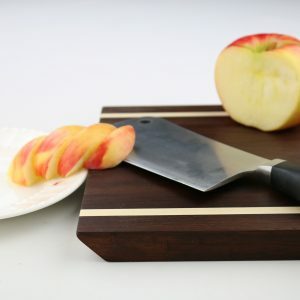 The we placed a 2″ wide masking strip across the grain to protect a small control area from light, allowing us to compare apples to apples. 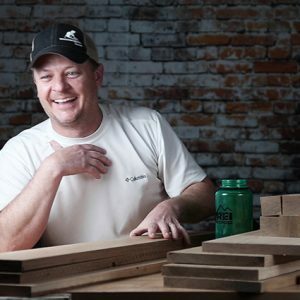 How does the wood change with exposure to light? Do different finishes protect the color better? To make a good comparison I needed four parts for each of the six finishes, which you can clearly see in the picture on the right, above: a raw section, a finished section, and then a smaller section of both the raw and finished that would be protected from the light for control samples. For these control sections I simply placed a 2″ wide strip of masking tape across each of the six sections. In the end, this allows us to compare each of the six exposed finishes to see how it changes and see how each one may protect the color. 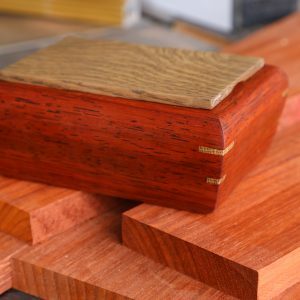 Conclusion: Best Wood Finish for African Padauk? Clear dewaxed shellac preserved the orange color the most in a comparison among these six samples. Basically, the section that’s finished with shellac and exposed to light is brightest of these six. 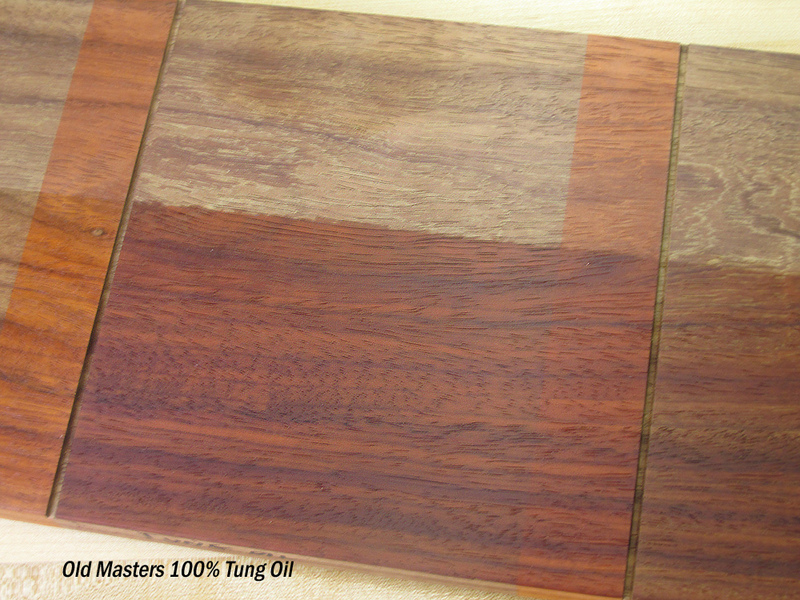 Tung oil, interestingly, makes the wood pretty dark immediately upon application but it also showed the least amount of change during the 21-day light exposure test. Is this definitive? No. This is just one test of six finishes – there’s certainly more to be done! But the one lesson to learn here is your project will retain the orange color much longer if you can keep it out of direct light. See for yourself. Here’s a better look at how each finish behaved in this test. Click the photos to zoom in. 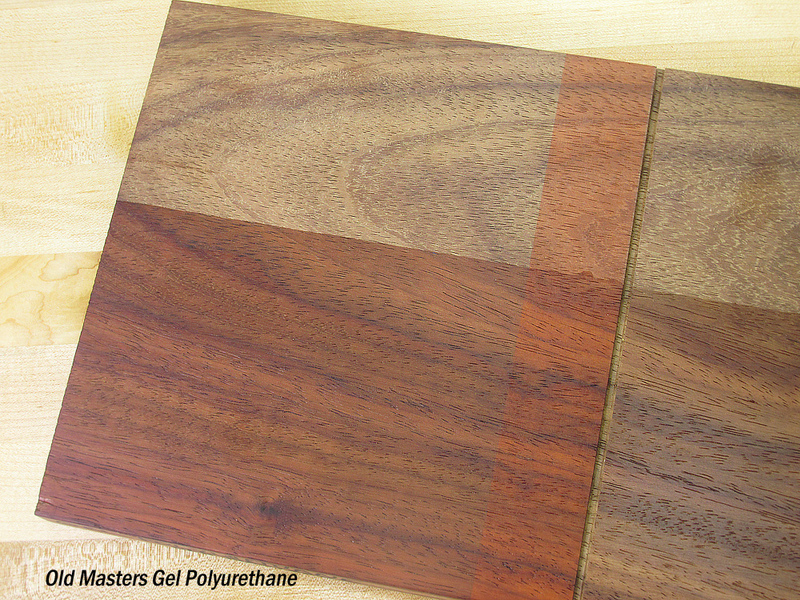 Gel polyurethane – a popular finish – darkens the wood quite a bit, but looks very good. Spray lacquer did a fair job at preventing the wood from going very dark, but the color washes out. 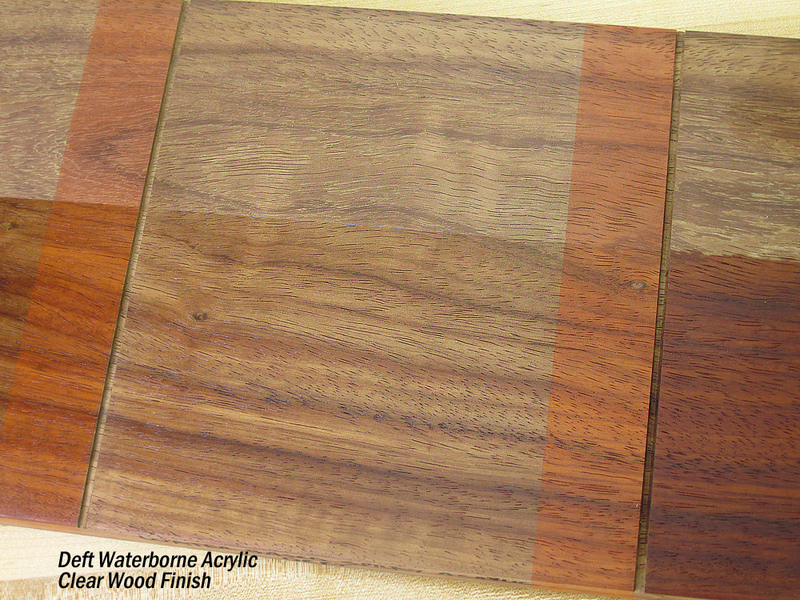 Waterborne finishes do not darken the wood nearly as much as others. 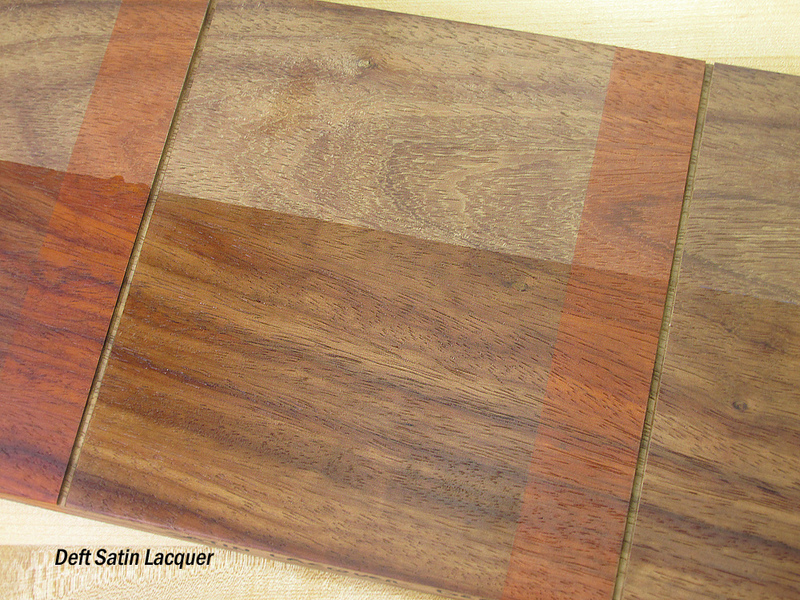 While tung oil makes padauk very dark immediately, this finish didn’t change much after the exposure to direct light. 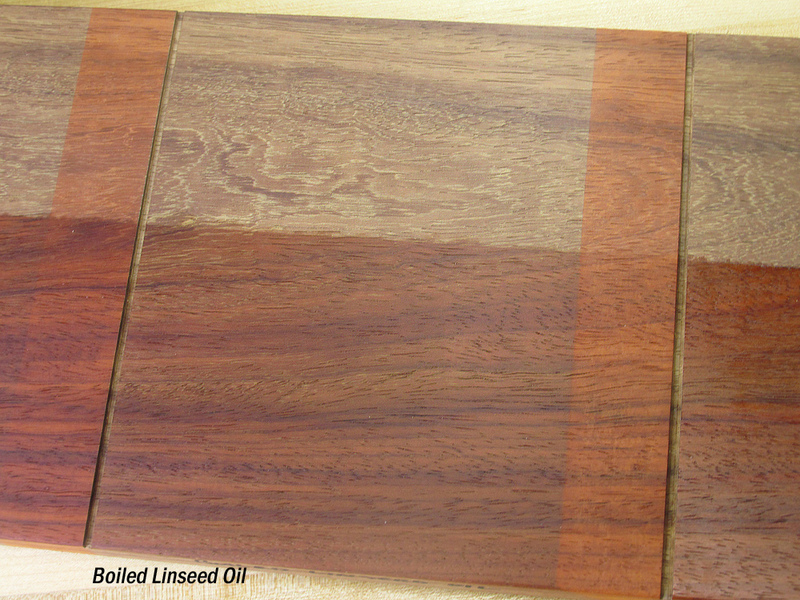 Boiled Linseed Oil darkens padauk substantially. In this limited test, shellac proved to hold the orange color the best.